He's had both superhero success (launching Daredevil for Netflix) and disappointment (Sony's stymied Sinister Six), but Drew Goddard will be hoping for fairer winds when he handles X-Force, set to bring Ryan Reynolds' Deadpool and Josh Brolin's Cable back to our screens as writer and director for Fox. 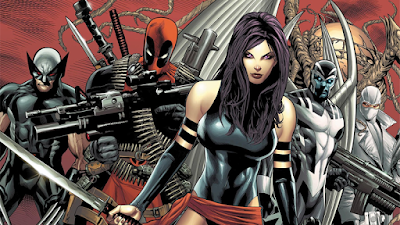 With Reynolds, regular X-producer Simon Kinberg and fellow franchise overseer Laura Shuler Donner involved, X-Force will find the Merc with a Mouth and his fellow mutant leading a black ops group of mutants who specialise in the sort of ruthless behaviour that Professor X would never allow. Think Suicide Squad, but in the X-universe. Or, maybe not. Jeff Wadlow was working on an earlier script, but Goddard has likely started afresh. The mutant universe is continuing to expand, with X-Men: New Mutants finished shooting, Deadpool 2 in progress (featuring the introduction of Brolin's character) and, for the main series, Kinberg stepping up to direct X-Men: Dark Phoenix. Goddard is currently working on Bad Times At The El Royale, but according to Deadline, he's ready to roll right into X-Force once that film is complete.